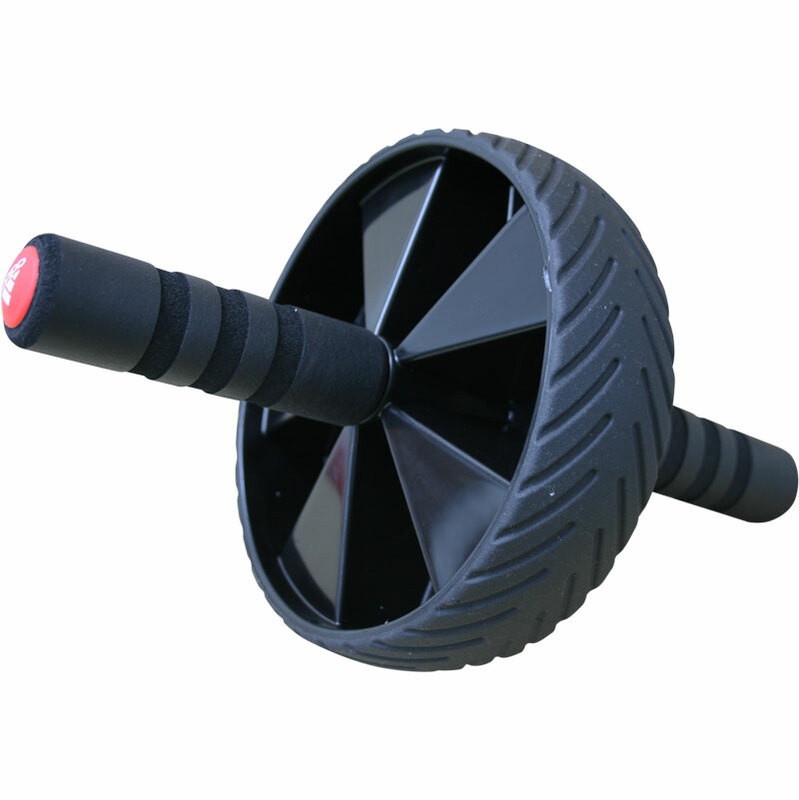 The Adidas ® Ab Wheel is a simple, effective, easy to use training tool at home. They're ideal for maximising your core strength which will not only bring along strength in most other exercises but will benefit you in your day to day life too. As well as this they do really stimulate growth in your abs too, the full range of motion that ab wheels ensure stretches the abs and then contracts them on the way back up so they are under constant pressure throughout the full exercise. They're hard work but highly rewarding. The lightweight yet robust plastic construction and portable design of this Tunturi ab roller means it can be used at home or more conveniently it can be used anywhere! Dual wheel function increases stability and distributes weight. Ergonomics handles are moulded to the shape of your hands for superior support. Easy glide wheels with grooved edges increase grip. Highly effective exercise for increasing core strength and defining abs. Made of robust plastic for long lasting use.